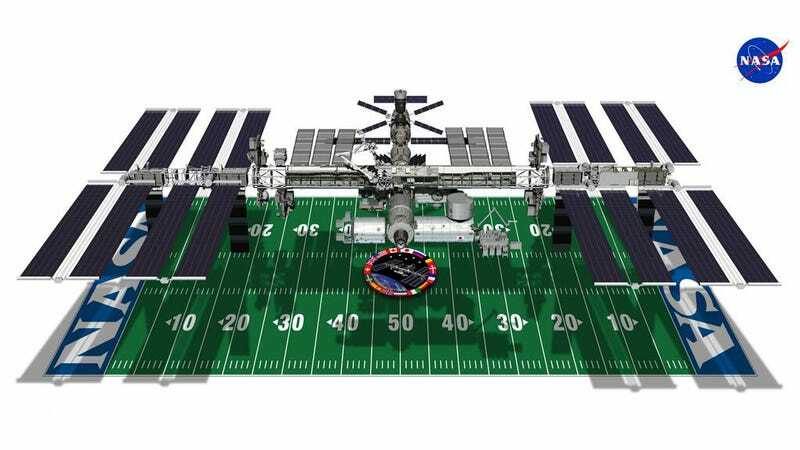 This graphic by NASA shows the ISS compared to a football field. They're more or less the same size: A football field is 360 by 160 foot. The space station is 356 by 239 feet. Another comparison: The United States spends about $10 billion per year in the NFL and about $3 billion in the ISS.